Have you ever been asked what the craziest thing was that ever happened to you? Or the craziest thing you have witnessed? You may have a few good answers. It may be a prank or an event that left an impression on your mind just because of how bizarre or absurd it was. Today’s list is all about the strange and absurd. Yes! That is exactly what you’re thinking. 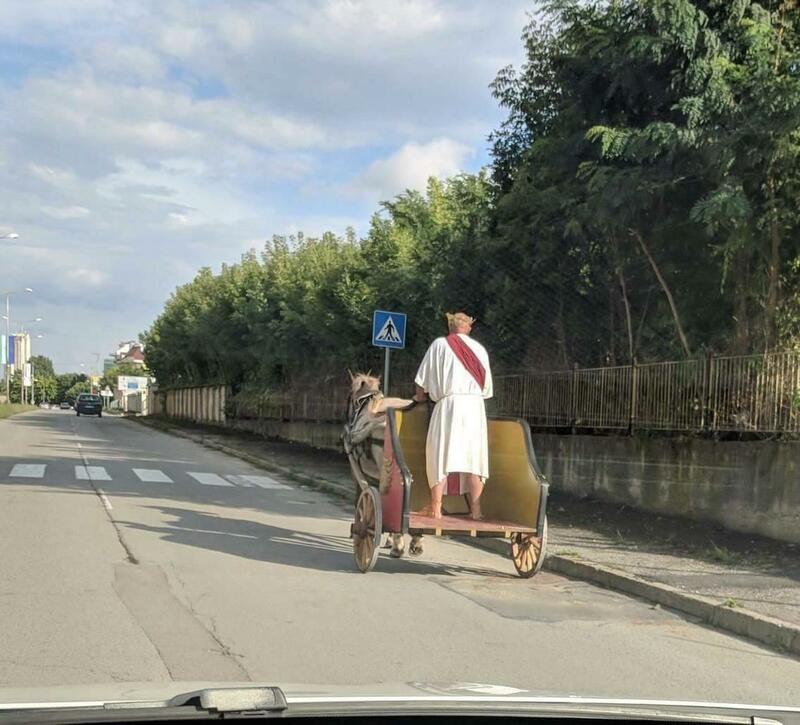 A man dressed as the Roman emperor Julius Caesar riding a chariot down a road. We’re not sure which part of the world this photo was taken in but you have to admit it is hilarious. He is actually in a real horse-drawn chariot on a modern road. From what we could gather from the comment section, this image is of a German bank that for some reason has a horse inside it with a man lying on the floor. The man could’ve been trying to help the horse get out or prevent it from getting in. Regardless, how would you feel if you went to your bank and saw this happening? Yes, that is a cougar that broke into a civilian’s house. Apparently, the window was left open from where the cougar could get in and its weight broke one of the chairs that promoted the house owners to investigate. That is when they found the cougar and informed local animal control. If you thought eating ice cream was safe, think again. What you’re seeing here is an ice cream with an extension/coupling nut inside. We can’t begin to comprehend how this was even possible other than it may have fallen from the machine that was making the ice cream. Ice cream is supposed to be bad for only sensitive teeth, not regular ones. Imagine you get to work and as usual, leave your car in the parking lot but after work, you come back to see it covered in bees. To understand the image, people said it was the yellow color of the car that attracted the bees. The truth of the matter is, either the car was out for days that proved to be a good nesting spot for the bees or the queen bee was trapped inside the car.